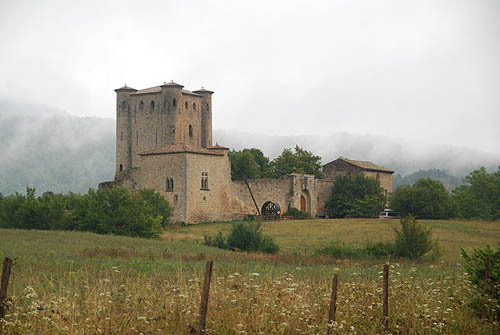 No one even pretends that this is really a Cathar castle, though one nineteenth century historian claimed to have found traces of an earlier fortification here. 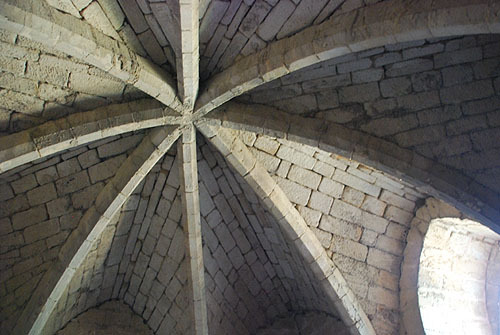 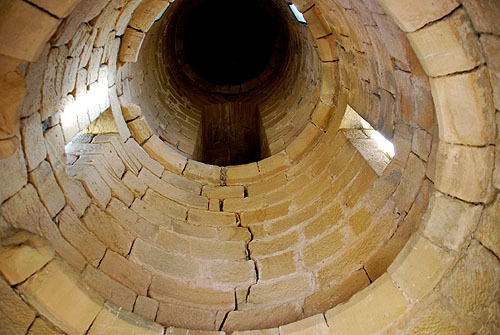 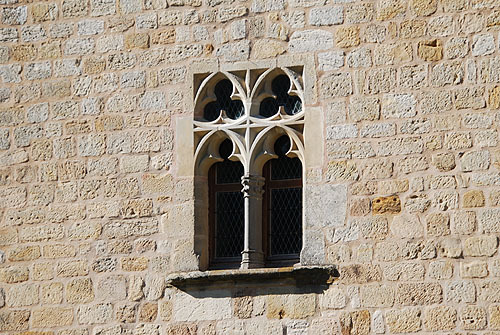 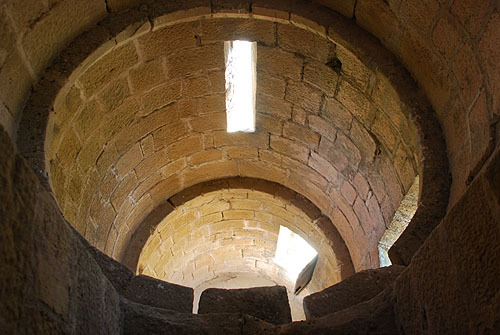 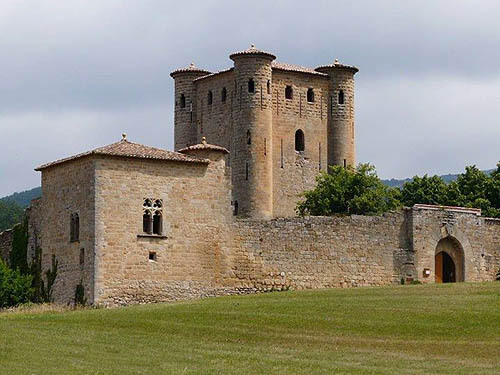 It is often included in the list because it is exceptionally elegant and unusually well preserved, and vaguely connected to the Cathar period. 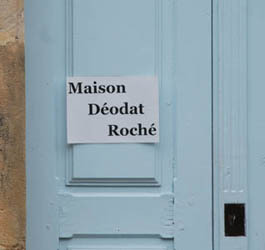 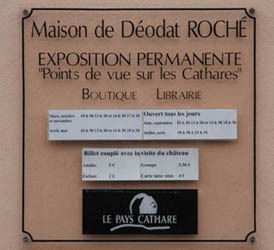 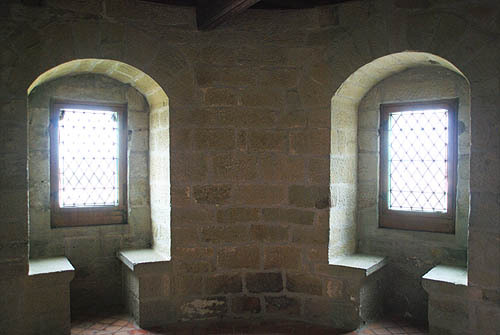 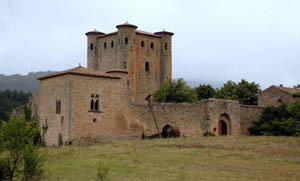 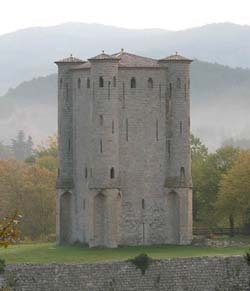 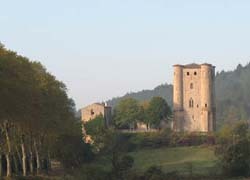 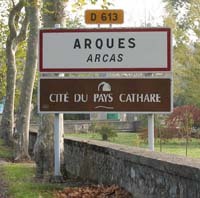 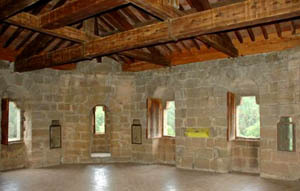 It is well worth a visit for the architecture, and the museum dedicated to the Cathars in the nearby village of Arques located in the house of Déodat Roché (1877-1978), a historian and romantic who did much to revive an interest in Catharism that the Roman Church had until then successfully suppressed. 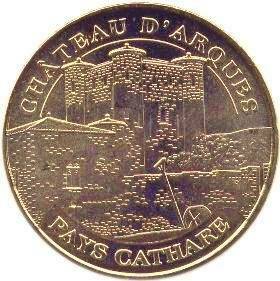 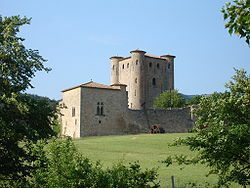 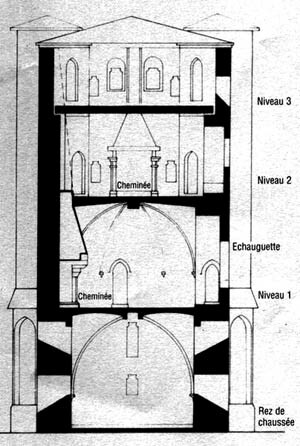 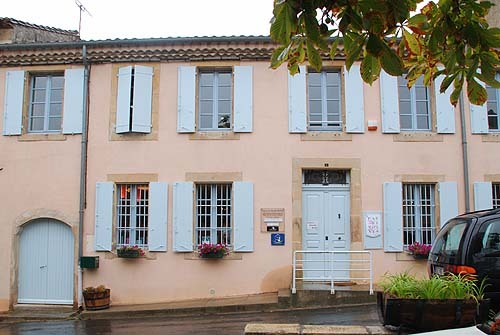 Pierre's son, Gilles, rebuilt the village as a bastide in 1268 and also started work on the present castle. 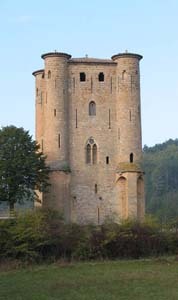 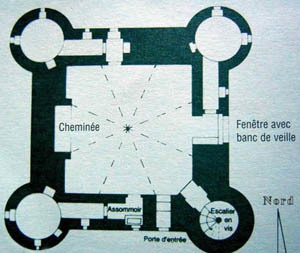 It was completed by his son Gilles II in 1316. 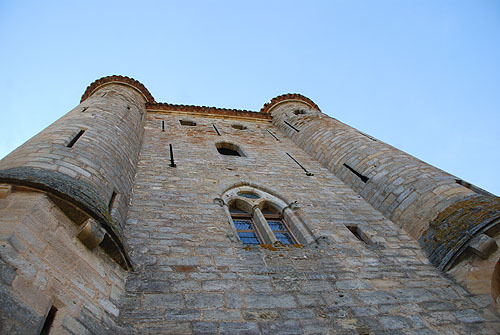 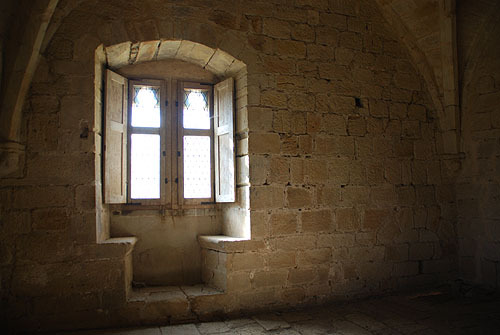 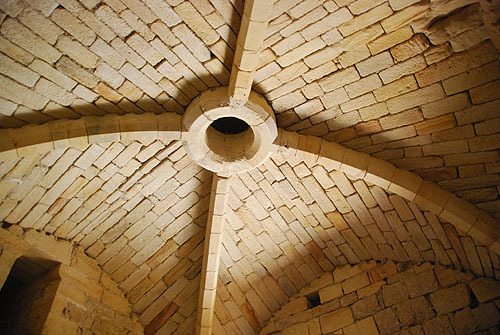 The castle, generally known as a donjon (ie a keep, not a dungeon), rises 20 meters and exemplifies the castle builders art - providing a good lookout and defensive position with a luxurious top floor. 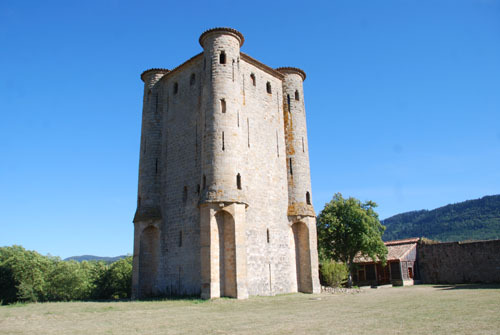 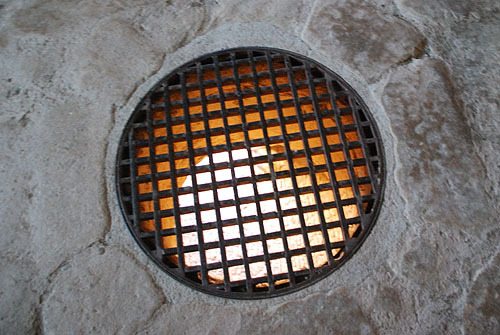 Unusually for the area and period, it stands at the bottom of a valley rather than the top of a mountain. 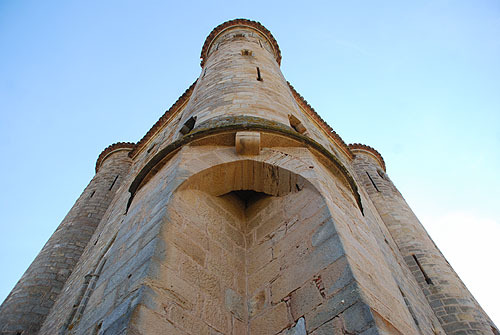 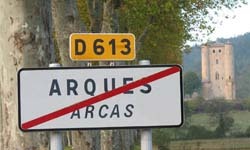 It has been, and still is being, sympathetically restored by the commune of Arques, to which it (or rather most of it) belongs.